Ludowici – Mr. Harold A. Tatum, age 87, passed away peacefully at his home on May 29, 2018 after a long illness. Harold was born on December 24, 1930 to George and Sadie Tatum in Flatwoods, TN, the third of four children. He was graduated from Linden High School in 1949 and was drafted into the U.S. Army in 1951 during the Korean Conflict. Following four years in the Army, Harold transferred to the U.S. Air Force where he continued to serve until his retirement in 1971 at the rank of Senior Master Sergeant. While stationed at Ft. Stewart, Harold met and subsequently married Fay Hodges on February 28, 1953, to whom he remained married until her death in 2015. While travelling the world in service to his country, Harold and Fay had two daughters, Rhonda and Pam. Following his retirement from the Air Force, they settled in the Elim Community of Long County where they remained until their deaths. Harold worked at Interstate Paper Company from 1971 until 1986 when he retired again. Thereafter, he worked another four years as the Environmental Health Officer for Long County. 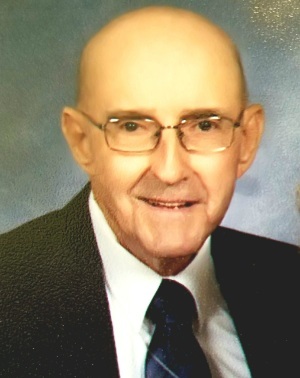 An active member of his community, Harold served on the Long County Board of Education and was a long time board member of the Long County Family and Children Services. For many years he was active in the Lions Club. Harold was a faithful member of Elim Baptist Church where he served as a deacon and in many other capacities. He was a kind and gentle soul who will be greatly missed by his community, his many friends and his family. In addition to his parents and wife, Harold was predeceased by brothers S.B. Tatum and Carl Tatum. He leaves behind to cherish his memory daughters, Rhonda Edwards (Danny) of Mt. Airy, NC and Pam McCullough (Hugh) of Glennville, GA; grandchildren, Victoria Murphy (Robert), Crystal Edmonds (Stephen), Travis McCullough and Logan McCullough; sister, Bobbie Steele; nine great-grandchildren and many nieces and nephews. The family wishes to express gratitude to special caregiver Rhonda Rowe. Visitation will take place at Howard Funeral Home in Ludowici, GA on Thursday, May 31, 2018 from 7:00 P.M. until 9:00 P.M. Funeral service will be held at Elim Baptist Church on Friday June 1, 2018 at 11:00 A.M. with Rev. Greg Bentley and Rev. Mike Howard officiating. Interment will follow in Elim Cemetery. Remembrances are suggested to Elim Baptist Church Building Fund, 6650 Elim Church Road, NE, Ludowici, GA 31316. Arrangements are under the direction of Howard Funeral Home of Ludowici.